The Great Ocean Road is one of the world's greatest road trips. Running for over 200km along the southern Victoria coast from Torquay to Port Fairy, the B100 route takes in rainforest, wildlife, spectacular coastal scenery, fabulous beaches and attractive seaside towns. There's so much to see and do along the route that it's a good idea to allow at least three days, one-way, for the trip. Lorne, Apollo Bay, Port Campbell and Port Fairy are all good places to stay overnight, offering a range of different accommodation. 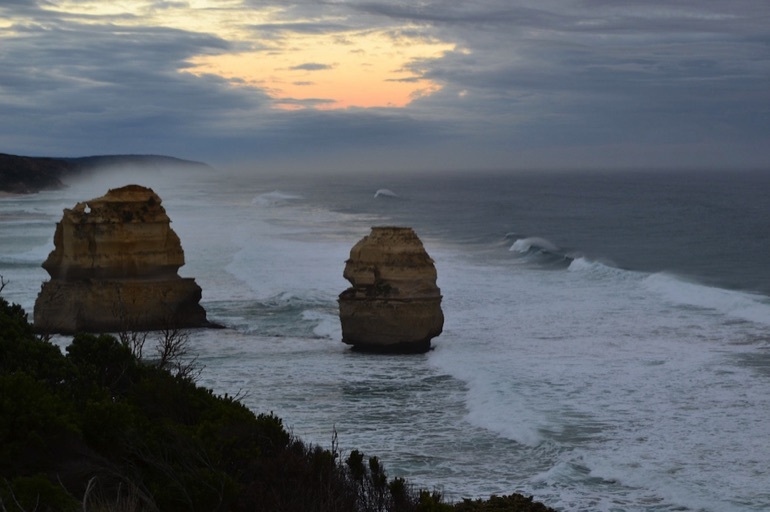 Here are a few of the things that shouldn't be missed on a trip along the Great Ocean Road. There's a succession of lovely beaches along the route, where the Southern Ocean laps sandy bays and coves. 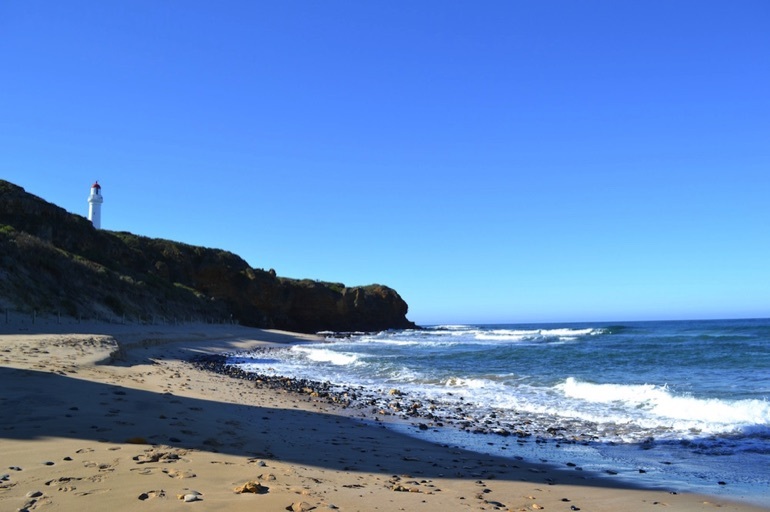 If you're travelling east to west, one of the first beaches you'll come to is Aireys Inlet – a sweep of golden sand, with a long, shallow inlet that's great for families. 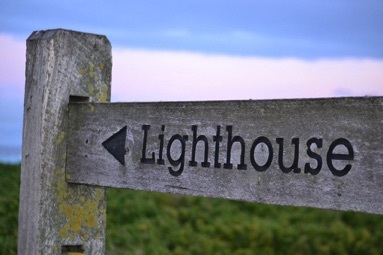 After paddling in the inlet, be sure to climb up to Split Point Lighthouse for fantastic coastal views. Further west, there are large sandy beaches at Warrnambool. This is also a good spot for whale watching, with a huge wooden viewing platform at Logans Beach that offers a superb view across the ocean. If you're here between June and Septmeber, you may catch a glimpse of southern right whales – the females return to the nearby waters to calve, often swimming within 100 metres of the shore. Logans Beach is also a prime surfing location, so you can enjoy the acrobatic antics of the surfers while you look out for whales. The B100 heads through the Great Otway National Park, where you'll find some of Australia's best rainforest scenery. There are plenty of hiking opportunities in the National Park, but for a quick dip into the rainforest head for Maits Rest, 18km west of Apollo Bay. It's right alongside the Great Ocean Road and is one of the easiest ways to get a taste for the extraordinary landscapes of the Otways. 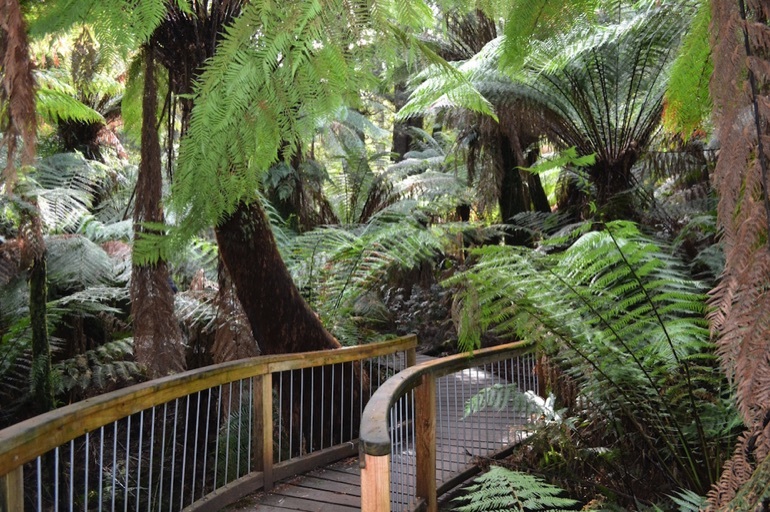 At Maits Rest there are waymarked rainforest walks through dense vegetation – including giant tree ferns and some incredibly tall mountain ash trees. Mountain ash can grow to over 100m tall, making them the tallest flowering plants in the world. 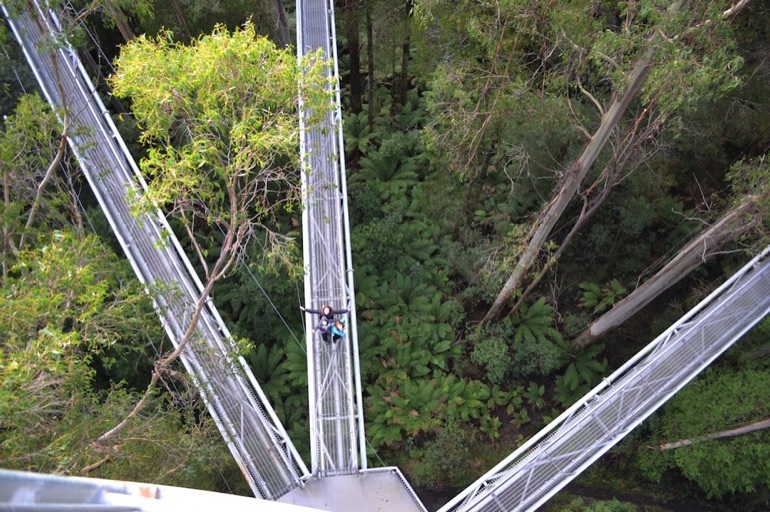 To experience the rainforest from a totally different perspective, visit the Otway Fly. Specially constructed metal walkways head up into the rainforest canopy, allowing you to walk amongst the treetops. A tall viewing tower with spiral staircase takes you even higher, for vertiginous views across this beautiful area. The Great Ocean Road is one of the best places in Australia to spot koalas. Kennett River, halfway between Lorne and Apollo Bay, is the first place to head for. 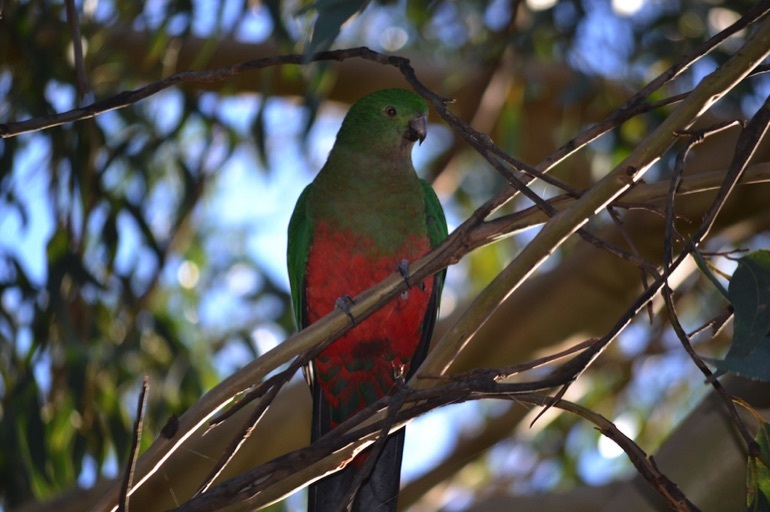 Park near Koala Cove Café and walk up Grey River Road – you should soon see koalas in the trees along either side of the road. 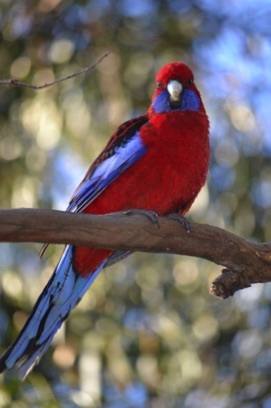 Look out too for the colourful local bird life, including king parrots and crimson rosellas. 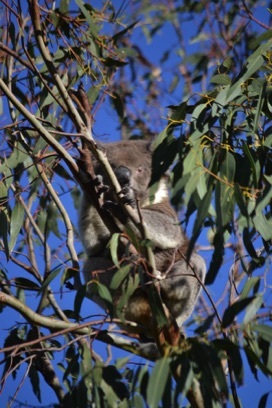 Another likely place to see koalas is along the side road to Cape Otway – large grey bundles can be spotted high up in the branches of the eucalyptus trees. At the end of this road is Cape Otway Lightstation – a worthwhile detour. 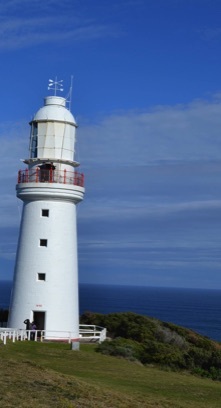 This is the country's oldest surviving lighthouse – it was built in 1848 – and it stands at the second most southerly point of mainland Australia (just beaten by South Point at the tip of Wilsons Promontory). Climb up the spiral staircase inside for dizzying views of the coastline before taking a walk around the grounds to see the telegraph station, lighthouse keeper's cottages and Aboriginal Cultural Centre. There's a super café here too. 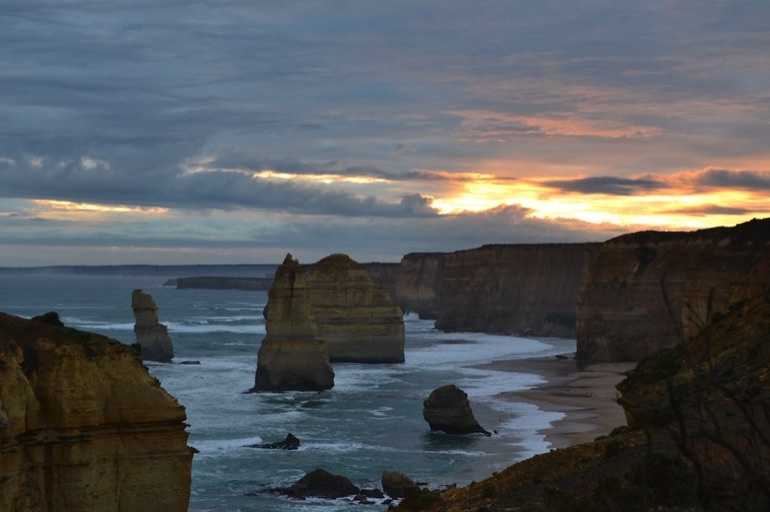 No trip along the Great Ocean Road is complete without seeing the Twelve Apostles. These limestone pillars now stand in the ocean – but were once attached to the mainland cliffs before waves and wind eroded them, creating the forms you see today. There are actually only seven stacks visible from the viewing platform – there were once eight (but never 12!) before one collapsed dramatically into the sea in 2005. Remember, too, to look east for a view of Gog and Magog – two further limestone stacks. Fairy penguins nest nearby – so if you visit at dusk you may get to see them (and you'll certainly hear them!) while you enjoy the sun setting behind the Apostles. Be aware that the sea in this area can be particularly dangerous, with strong currents and undertows, so swimming is off the agenda – if you venture onto the beaches, take care near the wild ocean waves, and avoid becoming stranded by high tides. The Twelve Apostles are part of the Port Campbell National Park, and are just one of the geological attractions along this stretch of the B100 – there are also arches, blowholes and gorges. Loch Ard Gorge is a deep slice carved from the limestone cliffs, ending in a picture-perfect semi-circular cove. It's a steep climb down (and back up) the steps to the beach – but worth it for the best view of the gorge. 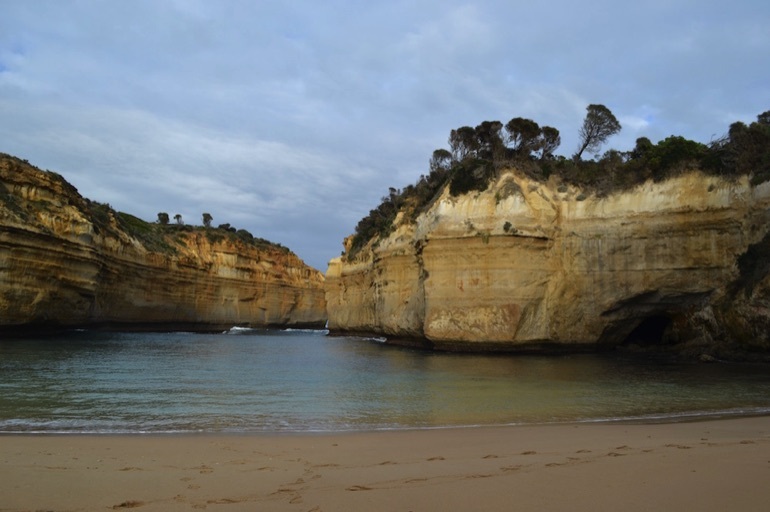 Loch Ard Gorge is named after the 1878 shipwreck, in which 52 people died. There were just two survivors – teenagers Eva Carmichael and Tom Pearce – who were swept to relative safety in the gorge. At the end of the Great Ocean Road is Port Fairy – a charming, historic fishing village with pastel-coloured buildings lining a neat grid of streets. 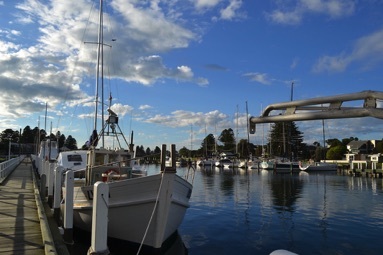 Head down to the picturesque harbour, where fishing vessels bob gently in the water alongside smart sailing boats. There are historic walking trails around town that you can take to admire the many nineteenth-century houses, including restored whitewashed cottages built by whalers, and grand Georgian-style merchants' homes. For nature lovers, an easy walk from the centre of town crosses a bridge onto Griffiths Island, where the Moyne River meets the sea. This nature reserve is home to a large colony of shearwater seabirds, as well as other birdlife and a resident population of wallabies. The pathways wind through scrub and across white sand beaches to reach the Port Fairy Lighthouse – which is still in operation – at the eastern tip of the island.